This stationary sofa brings together the best aspects of contemporary and traditional design, making for a great addition to your living room. Flat track arms and dark finished block wood legs provide some modern appeal, while the large nail head trim bordering the base and back and add some classic sophistication. Furthermore, the clean, cream fabric is perfect to match your already existing furniture pieces or decor. 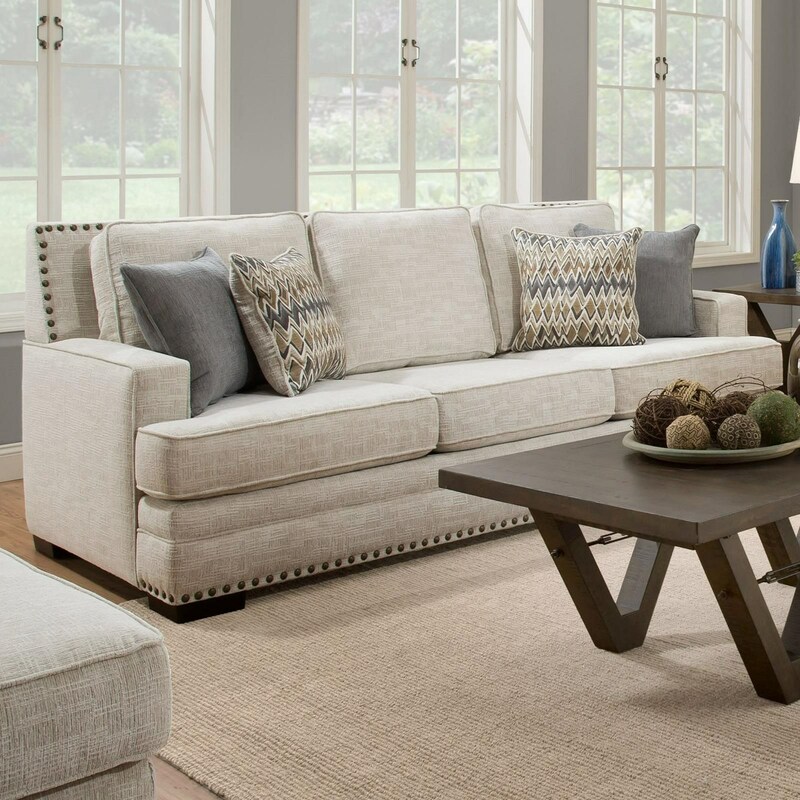 The 488 Sofa with Nail Head Trim by Albany at Miskelly Furniture in the Jackson, Pearl, Madison, Ridgeland, Flowood Mississippi area. Product availability may vary. Contact us for the most current availability on this product.